If you have read my post in which I have shared seo tips then you must have read one point that is having a brief description of each post you write. It is helpful in seo because when you write a post and also write its description then when it is shared on social networks e.g Facebook it will show your written description and search engines can use this description and show your blog/site in search results. (1). Go to Blogger and log-in to your account. (2). Click settings in the menu on the right side of the blogger page and select search preferences in sub menu. (3). On the search preferences page find Description and click edit. (4). When you click edit there will be two options asking for enabling search description, click yes to enable it. (5). Now write a description of your blog in 150 characters and click save changes and you are done. (6). 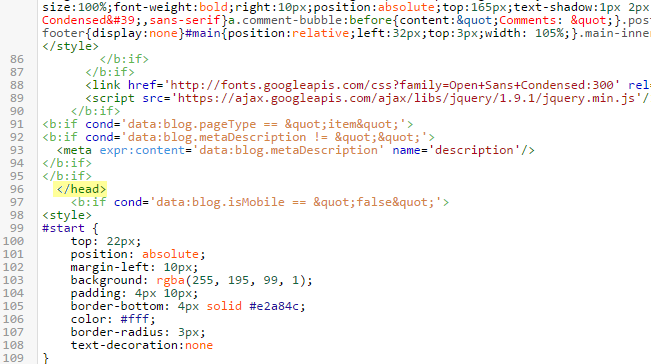 Go to template > Edit HTML. (7). Copy below code and paste it above </head> in your template. (8). Save template and you are done successfully, Go to your post to see a new option(search description), write a brief description of each post or write keywords in search description which you think that can be used in search by visitors. 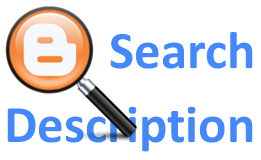 description(search preferences description) it would be counted as duplicate description. Tip: I recommend to write tags related to your post in search description for example if you are writing a post about seo then use "seo, seo tips, seo tricks, blogger and webmasters seo tips, seo new tips, seo tips 100% working, free seo tips for bloggers and webmasters, seo tips 2014, how to make your blog seo optimized etc" words in search description. Thank you for visiting 101Helper, is this post helful to you? if not then ask me in comments. Share your suggestions and recommend this post on Google by clicking g+1, share with others and help 101Helper grow. Thank you for such an informative post for blogging lovers. Did you follow the steps in above post ?